Everything Beauty and Beyond! 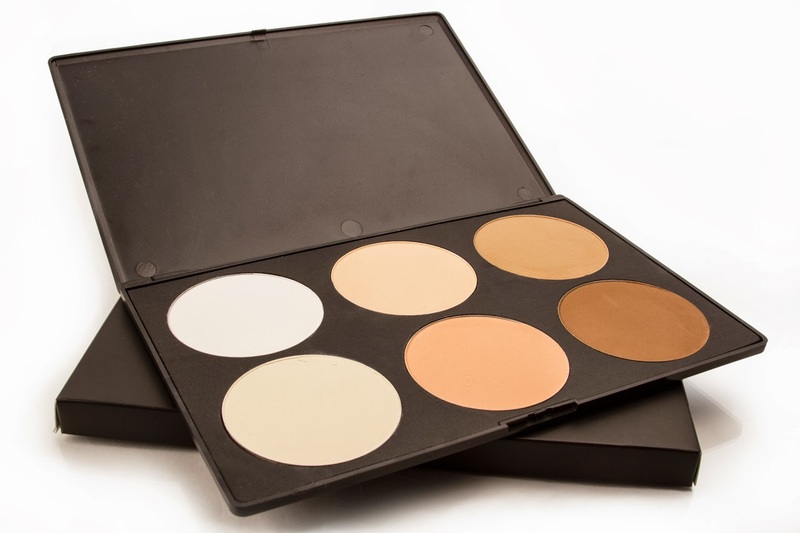 : Blank Canvass Cosmetics 6 Contour/Highlight Palette! Blank Canvass Cosmetics 6 Contour/Highlight Palette! As you all know, I am a Blank Canvas anything lover! Not only do I LOVE their brushes, but I also love their makeup which is just as awesome as their brushes! When it comes to highlighting and contouring, a variety of methods can be used to achieve this look. You can either use all powders, all creams, or a mixture of both. However, when mixing both, you first must apply your creams before applying your powders. If not it will separate and make a mess of your makeup and face. Think of it like this, its like applying your face powder and then your foundation on top. Not a good idea if you ask me. However with all that being said, you need the right products and brushes in order to get the right results. The BCC Contour and Highlight palette, was the first palette, product, anything I ever used when I first started contouring and highlighting. I bought this palette after watching yet another youtube video (I really need to get off youtube) with a girl who was contouring and highlighting with this palette. She did such an amazing job that I google the product and found it online. Blank Canvas Cosmetics is a company that is based out in Ireland. However they have amazing shipping rates which are actually cheaper then some of the products I have bought overseas and nationally. It arrived at my home in less then two weeks and was nicely packaged to avoid damage in the mail. This palette is big and true to form. The colors work well when contouring and highlighting your face. The highlighting colors come in 3 different shades and the contouring come in three darker shades. What I like about this palette is that since it has a wide range of colors, it works great with all skin tones. The colors are nicely packed and don't flake to much. The palette is pretty big which surprised me when I first got it. I didn't expect it to look as big as it did on the website. Each pod comes with a generous amount of color which if used right, will last you a long time. When I first highlighted, I noticed that the powder went on nice and smooth and didn't leave me looking like I was all raccoon eyed. It didn't crease underneath my eyes or comes off throughout the day. It was noticeable on my face, and gave me such a lovely sheen. I use my BCC F14 small contouring brush to highlight with as it fits perfectly underneath my eyes, down my T-zone and chin. The contouring colors work well as a bronzer and really showed on my face. I use my BCC F16 Large contour/powder brush to apply the bronzer colors on my the hollows of my cheek, my temples and forehead. Since this brush is pointed it really leaves you those defined lines you are looking for. However there F30 Sculpt brush works amazing for contouring as it really defines your face. Its on my wishlist to get so I can test it out! I highly recommend this palette (and a youtube video) for beginners who are interested in learning this makeup technique. Moreover BCC sells an array of amazing brushes that would work well with this palette that are worth trying! My own husband was able to see the difference and comment on how great the makeup looked on me. It lasted all day and never looked dull, flaky or lacked color or luster.